ST. PAUL, Minn. (4/2/18)—Invasive species cast a damaging shadow in whatever environment they occupy. With growing season on the horizon, Extension scientists are asking for Minnesotans help to better understand invasive plants and insects and reduce the harm they cause. Thick and bristling with sharp thorns, buckthorn is favorite winter host for eggs of the soybean aphid, an invasive species that poses a yearly threat to Minnesota’s crop. Itself an invasive species, buckthorn overpowers more desirable native plants and grows at an alarming pace. “Spring is a great time to get tough with buckthorn,” said Extension forestry educator Angela Gupta. Along with the Minnesota Soybean Research and Promotion Council, Gupta has produced two brief videos that demonstrate how to identify buckthorn and methods for its removal. Farmers Rochelle Krusemark of Martin County and Michael Lynch of Watonwan County demonstrate tactics that have worked on their farms. To learn more, visit z.umn.edu/buckthornvideos. Aphelinus certus, the wasp, and soybean aphid. 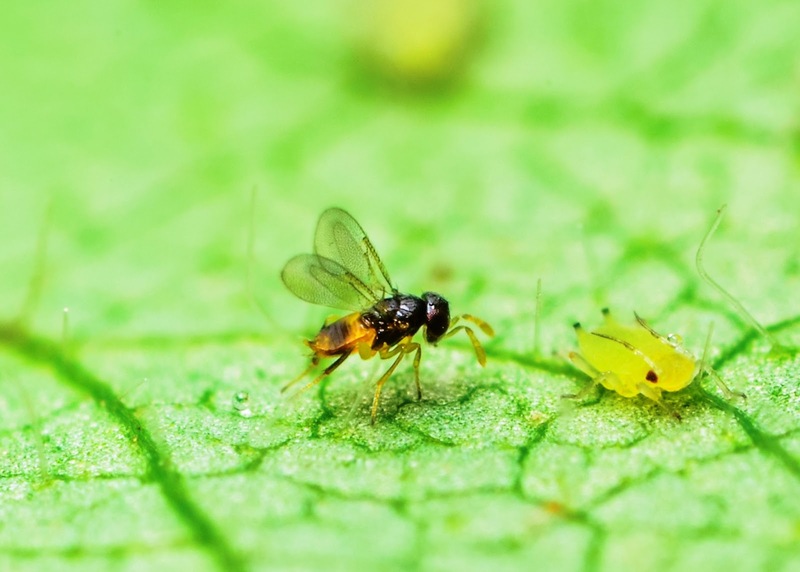 Extension and the University of Minnesota entomology department are teaming with the Minnesota Department of Agriculture to identify wasps that are natural enemies of the soybean aphid. 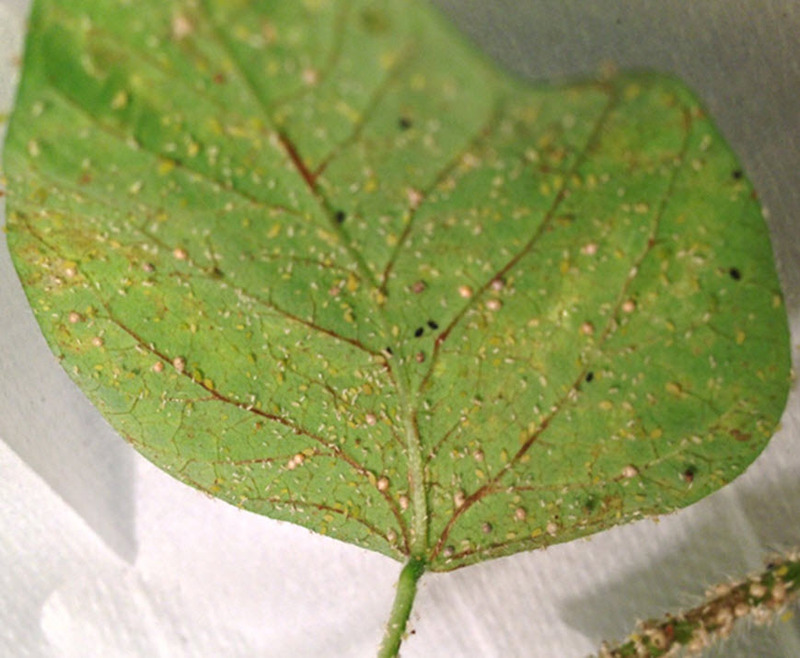 Volunteers are needed to scout fields in search of the mummy-like black aphid remains left on soybean leaves where the wasp, Aphelinus certus, has done its job. Larvae of the wasps live inside soybean aphids, eventually killing them. The wasps, which cannot sting humans, then emerge from the dark “mummy” in order to immediately mate and lay eggs in nearby aphids. Many generations of this wasp occur over the summer. “We need help from Minnesota farmers,” said Extension entomologist Bob Koch. Last year, citizen scientists scouting fields in 43 counties sent samples of the mummies to the University for further analysis. To volunteer, contact graduate student Jonathan Dregni at mummyscout@gmail.com. More information is available at z.umn.edu/aphidwasp18. "Mummies" left after wasp destroys aphid.